This NO Sign somehow manages to merge two fads of the early eighties into something that is still contemporary. The fads I am referring to is that negation sign that was already on a lot of road signs before it made Ghostbusters the most recognizable logos in all of movie history. That film came out in 1984, and, during that time, there was a small fad of 3D. Yes, there was a lot of 3D movies that came out then, just like there are now. I remember most of these 3D films getting a lot of bad press like Jaws 3D, Space Hunter, Amityville 3D, and Metalstorm. This NO sign is a sign of the a former time, but it is downright useful for our time. After all, we have areas where cameras and cell phones are not allowed, and that one with the cigarettes could apply to any time except the boardrooms on Mad Men. There’s nothing I like more than the application of augmented reality, especially when mixed with a healthy doses of VR. What you are seeing here in the picture and the video after the jump is an Augmented Reality Weather helmet from Magic Vision Lab. Using a head tracker and some particle graphics, the user can see what inclement weather would look like in real-time on clear and sunny day. I know some of us never want robots to ever have emotions, but I suppose that no one has any qualms about creating a robot that could show emotions. This is the desktop robot known as REETI, and I am not certain what it stands for, but it is a communication robot and a multi-media tool that could be used to convey a very particular type of message. You can watch the video after the jump if you want to get an idea of how this works. Ford Motor Company is set to begin one of the world’s first research projects to build a digital human model of a child with lifelike re-creations of bones, internal organs and brains in order to enhance the company’s future safety research. Researchers are constructing the digital model, as they did the adult version, component by component – brain, skull, neck, ribcage, upper and lower extremities, etc. After gathering data through medical scans as well as anatomical texts, the researchers will build the model section by section, recreating regions of the body from childrens MRIs and CAT scans in order to obtain child geometry and basic body information so they may better understand how crash forces affect children and adults differently. On April 1, 2011, CancerForward will rollout a new program for cancer survivors, caregivers and healthcare professionals worldwide… free memberships to The Survivor Network on CancerForward.org. Funded by The Dan L. Duncan Family, The Survivor Network is a unique social networking platform that provides cancer survivors and caregivers a community to connect and share their experiences and information. Joining The Survivor Network is free, after registering with a valid e-mail address. When you join The Survivor Network on CancerForward, you will have the ability to create your own CancerForward profile where you can share your experiences and your inspiration by telling your story, uploading photos, videos and audio, contributing recommended resources and more. You may also access the Survivor Network and the CancerForward profiles of all Network members and their contributions so you can locate and interact with members of your choosing. Navteq is definitely a name that many of you have heard of before if you’re familiar with GPS navigation devices, as the company does offer its fair share of maps that ain’t too shabby to say the least. Well, the world of consumer electronics does seem to move towards another level of convergence with digital cameras, too, entering the GPS fray. Of course, we already have geotagging going on for some time, but the newest Panasonic LUMIX DMC-TZ20/ZS10 and DMC-FT3/TS3 digital cameras will benefit from Navteq’s map and location content. The cameras mentioned are the latest members of Panasonic’s acclaimed Lumix Series of digital cameras, where with the help of Navteq, you can geographically organize your photos in an effortless manner, letting you determine the exact location of where the photo was taken and when. Apart from that, there is also a timestamp feature that lets you determine the precise date and time a photo was taken. Are you one who tends to work late into the night? If the answer is in the affirmative, then the Nexus Silent Mouse SM-7000B is the solution that you (and your poor spouse) has been searching for all this while. After all, some of us require complete silence (save for the hum of the air conditioner or heater) to get some shuteye, so the constant clicking of a keyboard as well as mouse clicks (especially if you’re into RTS) might just drive you nuts. 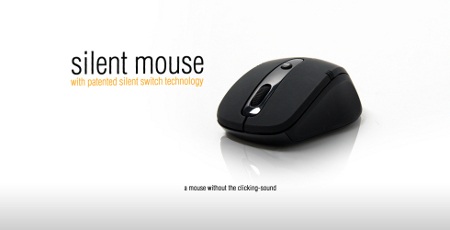 Enter the Nexus Silent Mouse SM-7000B, where its name is pretty much self-explanatory. This particular peripheral will work in tandem with an advanced 2.4G wireless optical mouse that will not come with the annoying clicking noise, where it remains connected to your notebook and desktop via an extremely small nano receiver. I think is it terrific to have an Android phone with access to an Internet Browser, but I don’t have access to the Bookmarks on my laptop. That is, until now. With Firefox 4, I can sync my bookmarks with my Android phone, and I would like to tell you how after the jump.